Cathy, maybe you should study dentistry lol, then again not sure about the tong thing.. have a great weekend everybody.. So now JB if you come over to Ireland Do not waste your money on fancy Dentists just ask for myself ..
What a lovely photo Marie, well done Jack. Hope you see a dentist soon Lucy...thank you guys, yes we were happy to see our relations. Lovely picture Marie, congrats Jack. Sorry bout the hail for your husband Marie. Lucy, don't let that tooth get too bad on you. And I confess, despite all my tools and experience, I can't fix your tooth. I would faint before you. Cathy, can you fix it? 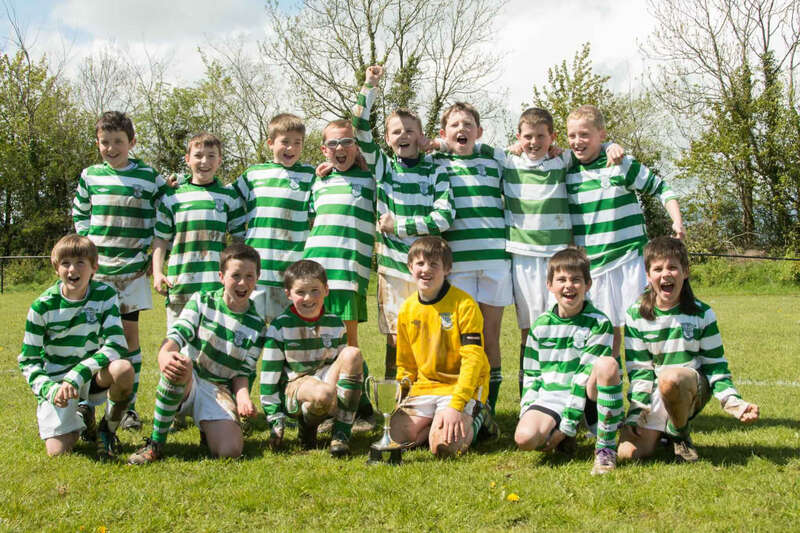 The winners of the Kilkenny County Under Elevens Cup League. The Evergreens........my grandson Jack is second from the left on the front row. They won 4-0 yesterday! Glad you're getting that tooth seen to Lucy. The sooner the better.!!! Pleased your visitors enjoyed their trip to the Emerald Isle Ems. Bet Sean was pleased to see them. Weather has been grim over weekend. The hailstones did a lot of damage in the garden. Hubby lost all his germinating seedlings when the wind tossed the propogater around the garden. He's had to start again today. Hi everybody, hope all is well with ye..we've had a lovely few days here with visitors from Holland and Canada, sightseeing, jb you would love Ireland we have some good sights here.Anyway i won't babble on, take care friends..
Hi JB and all hope everybody is keeping ok. JB I'm glad your working on your brothers house it will keep you busy and out of mischief. I'm so sorry but I'm going to have to decline your dentristy offer the toothache has suddenly disappeared. 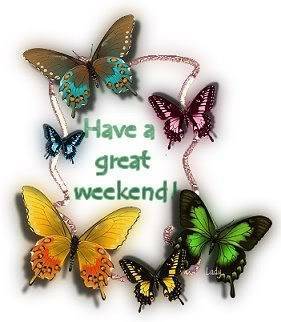 Have a good weekend everyone. Well, It is May now. I hope that everyone is happy today and carries a little tune in their heart. Something to whistle to perhaps. I started some work at a house my brother just purchased. I don't mind helping someone who works as hard as Dave does. We even look a lot alike. Lots of people mistake us for each other when they bump into us. Makes him mad though when they guess him to be the older brother cause he is 8 yrs younger. Anyways, this house is a 5 minute drive from my place. He was a 35 minute drive before. he is now my neighbour. He purchased this place from the bank under power of sale.It needs a lot of work, but he got it at a good price. aaw thank you jb, i may not have a lot to say but am happy enough with you guys and as jb says if no one else wants to post so be it. Hi everybody, I am still here. Lucy, I am so glad that you are feeling well and what your daughter said melted my tough guy heart. I am so happy for you. And Em is the glue. Thanks Em for keeping us altogether. And if no one else wants to write so be it. I just hope that no one is shy about posting if they feel like it. Today warmed up a bit. But it has been a cold April. My asparagus keeps trying to poke through and Jack Frost keeps biting it off. Bugger he is. We have kept the wood stove burning most days. At work today I could really feel Parkinsons in my hand. Screwdrivers and little screws and switching around doorknobs are hard to do for me now. I may try to trade Parkinsons in for a bout of measles and bad case of tonsilitis. Now that would be the deal of the century. So as a kid, on my Uncles farm, I used to go to the cheese factory with him and my cousin to deliver the milk. My eyes would be barely open but it was nice to get there and shove our grubby little paws into the box of fresh curds that the cheesemaker would leave out for the farmers. It is very expensive to buy them now. When I do, I think of the handfuls of squeaky fresh curds that I ate for free. 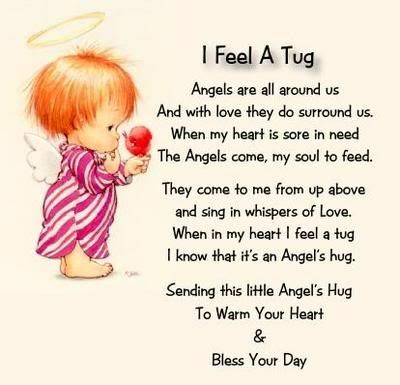 good nite my friends, Blessings to you all. All i can say is thanks to our regular posters, and Marie you are a great friend and i love your posts..
Lucy i am so happy for you. Great to hear from you Lucy. .You sound in fine form. Your daughter must be so happy to see Mammy 'good as new' again. I take your point about people not wanting to talk but with so few posters we don't exactly qualify for the title of 'good read' either, so as you say why do they bother to register at all? They can enter as guests and read to their hearts content . It's a complete mystery but one I don't intend wasting any more time on. I will concentrate on my forum friends ( if I still have any?). Hi folks How is everyone keeping? well I hope. We are having fine weather up here in Donegal dry but very cold great for getting the washing dried. I for the life of me do not know why people register and then dont post its not as if you have to register to read the posts because you can read them without registering. I dont think people register to get on facebook because the fb site has only about 5 or 6 regular posters as well.I really think people do not want to talk. Well i'm still going strong and long may it last. My daughter who is 11 says Mammy your as good as new lol. Hope you all have a good day. I was just thinking the other day where is everybody hiding . Maybe if we got leadership give us ideas and topics to write about if we had a topic for each month our thoughts on May in our younger days and presently or tell our parkinsons stories not very exciting I know but it may help someone . We are too small in number and one needs to question the long term viability of this forum. I've said it before and I'll say it again ( even if it makes me unpopular) How can people register with this forum when their profiles give no information whatsoever, then without even saying 'hello' disappear into cyberspace. I can only speak for myself but I know others feel the same and what really concerns me is that it always falls to Ems to keep pulling things together. I know she says she doesn't mind but everyone needs some positive reinforcement from time to time and it's just not happening. The regulars have agreed to soldier on because we enjoy the support we get from each other but when I hear that a good number of our so called members are more likely to be found using Facebook and Twitter , I would like to know why they joined us. ? Is it because in order to use PAI on Facebook etc you need to register with our forum.? That would at least explain their behaviour If we knew their ages, that might shed some light but having said that the regulars span the 40 to 60 age groups. Please can someone enlighten me? Sorry to start the day with a big moan but your question ( so beautifully put) needs answering. Ems as usual can be relied upon to come up with a diplomatic explanation . I as usual can only be relied upon to ask the questions no one seems to want to answer! Have a good day everyone (and I mean everyone looking in) despite the dreadful weather..
Dear Patsy, All i know is that our friends here are not too far away (or i think) ...sorry i just missed you in chat the other night patsy.. Weather is horrible here now,take care folks.. I am thrilled that everything went well for you. I am going to Knock tomorrow, I shall think of you in my prayers, and light a candle for you. Enjoy today Patsy, haven't been to knock in years! I am so happy for you. What a thrill you must feel as well and for your family, and your friends. Speechless!